Is the random aspect of the card worth it? Hearthstone player and streamer Allie “Alliestrasza” Grace revealed the newest card for The Witchwood expansion. Ravencaller is a neutral minion that costs three mana and sports a 2/1 body. The card’s Battlecry puts two one-cost minions in your hand. The stats of the card itself are pretty weak for a three drop but the text could be interesting. 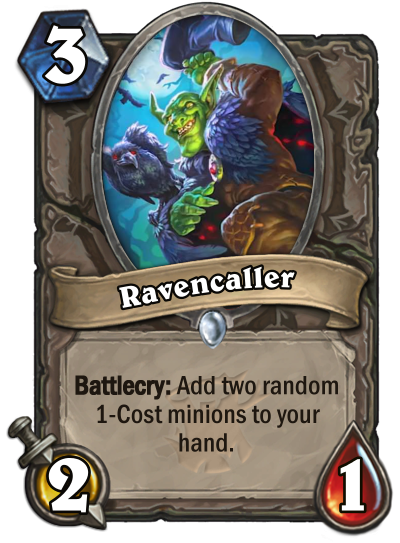 There may not be much constructed play for this card, but Ravencaller could see play in Arena due to minions being an important part of Arena strategy. The wide range of one cost minions may hurt this card, though, because of the complete randomness of the minions you’ll get in your hand. Ravencaller seems like an interesting minion that has the potential to give you some pretty powerful one drops, but it also could give you some pretty awful ones that render the card ineffective. As with many Hearthstone cards, Ravencaller will live or die by the RNG. 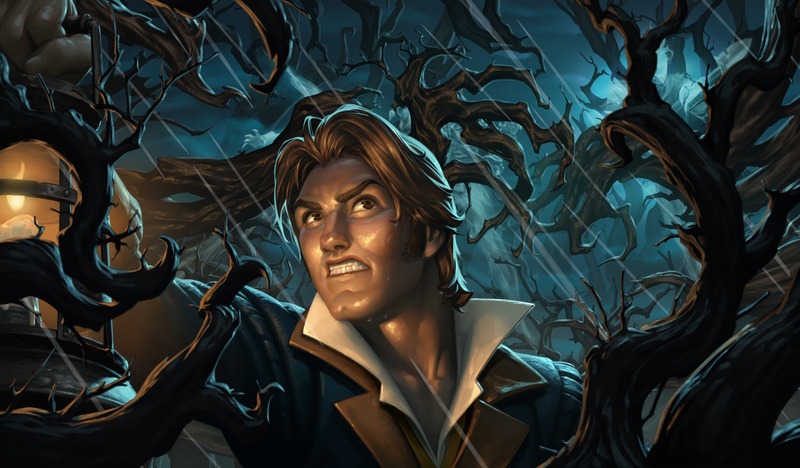 You can pre-order 50 The Witchwood packs now to receive an additional 20 packs plus a special card back ahead of its release in April.